September 25 is the 268th day of the year(269th in leap years) in the Gregorian calendar.There are 97 days remaining until the end of the year. 1690 – Publick Occurrences Both Forreign and Domestick , the first newspaper to appear in the Americas, is published for the first and only time. 1992 – NASA launches the Mars Observer . Eleven months later, the probe would fail while preparing for orbital insertion. Year 275 (CCLXXV) was a common year starting on Friday of the Julian calendar. At the time, it was known as the Year of the Consulship of Aurelianus and Marcellinus. The denomination 275 for this year has been used since the early medieval period, when the Anno Domini calendar era became the prevalent method in Europe for naming years. 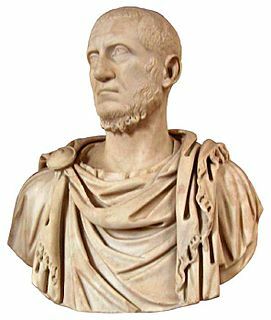 Tacitus was Roman Emperor from 275 to 276. During his short reign he campaigned against the Goths and the Heruli, for which he received the title Gothicus Maximus. Ashikaga Yoshimitsu was the 3rd shōgun of the Ashikaga shogunate, which was in power from 1368 to 1394 during the Muromachi period of Japan. Yoshimitsu was Ashikaga Yoshiakira's third son but the oldest son to survive, his childhood name being Haruō (春王). Yoshimitsu was appointed shōgun, a hereditary title as head of the military estate, in 1368 at the age of ten; at twenty he was admitted to the imperial court as Acting Grand Counselor. In 1379, Yoshimitsu reorganized the institutional framework of the Gozan Zen 五山禅 establishment before, two years later, becoming the first person of the warrior class to host a reigning emperor at his private residence. In 1392, he negotiated the end of the Nanboku-chō imperial schism that had plagued politics for over half a century. Two years later he became Grand Chancellor of State, the highest-ranking member of the imperial court. Retiring from that and all public offices in 1395, Yoshimitsu took the tonsure and moved into his Kitayama-dono (北山殿) retirement villa which, among other things, boasted a pavilion two-thirds covered in gold leaf. There, he received envoys from the Ming and Joseon courts on at least six occasions and forged the terms of a Sino-Japanese trade agreement that endured for over a century. In recognition for his diplomatic efforts, the Chinese sovereign pronounced Yoshimitsu "King of Japan". In 1407, he set into motion a plan to become "Dajō tenno" (太上天皇), a title customarily applied to a retired emperor. Although unrealized due to his sudden death the following year, this last venture was particularly audacious because Yoshimitsu never actually sat on the Japanese throne. Late in his career, it appears Yoshimitsu sought to legitimize his transcendent authority through the idiom of Buddhist kingship, deploying ritual, symbols, and monumentalism to cast him as a universal monarch or dharma king, not unlike his counterparts in Southeast Asia. His posthumous name was Rokuon'in (鹿苑院). Harald Sigurdsson, given the epithet Hardrada in the sagas, was King of Norway from 1046 to 1066. In addition, he unsuccessfully claimed the Danish throne until 1064 and the English throne in 1066. Before becoming king, Harald had spent around fifteen years in exile as a mercenary and military commander in Kievan Rus' and of the Varangian Guard in the Byzantine Empire. Maria Haraldsdotter was a Norwegian princess, as the daughter of Harald Hardrada and Elisiv of Kiev. She is the first known Norwegian to have been named Maria. 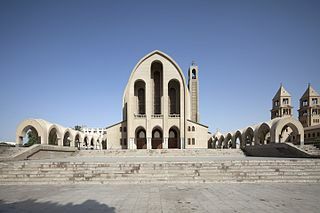 Abadir and Iraja are saints in the Coptic Church and the Roman Catholic Church. Saint Aunarius (Aunacharius) (c.540–c.603) was bishop of Auxerre during the 6th century. ↑ "Royal Navy (RN) Officers 1939-1945". www.unithistories.com. Retrieved 2018-09-13. ↑ "Alexander Rossi" . Retrieved 28 September 2018. ↑ "Corey LaJoie" . Retrieved 28 September 2018. ↑ "Todd Hazelwood" . Retrieved 28 September 2018. ↑ "NATIONAL RESEARCH ADMINISTRATOR DAY - National Day Calendar". National Day Calendar. Retrieved 2018-09-25. Wikimedia Commons has media related to September 25 .